As part of that settlement, they agreed not to limit how retailers set ebook prices for two years. Guess what? That period is about to end. There’s no coincidence here. Before we get too far, I want to disclose that I am both an Amazon shareholder and a traditionally published author. People are throwing the word monopoly around in a way that destroys any meaning it has. Amazon’s position in the selling of books is not a monopoly (Yahoo! Finance’s Aaron Pressman wrote a nice piece about this). By any stretch of the imagination, Amazon is not a monopoly. If you want to talk about manipulating prices, see what Hachette was doing two years ago. They don’t hold a monopoly on print. They don’t have exclusive control. There are plenty of places to buy a book and, thankfully, we live in a world where you can sell your own book without ever needing Amazon. You do not have to send your book to Amazon at all. And they can do the same, in reverse. They don’t even have exclusive control in ebooks. The Kindle is popular, but the most popular tablet is the iPad and Apple has its own store. The most popular mobile phone platform is Android and Google has their own store. There are countless ebook shops online and, once again, you can sell direct these days (many publishers do). Amazon has plenty of competitors nipping at their heels, waiting for them to slip. To say that not being available on Amazon will hurt your sales is probably accurate. To say that not being available on Amazon irreparably harms your ability to do business is wrong. Publishers and authors are angry about two things Amazon is doing. First, they say Amazon is delaying shipments of their books and removing pre-order buttons. For example, some books are saying that they won’t ship for 2-3 weeks, as opposed to shipping within 24 hours. I can relate to that because my book says “usually ships within 2 to 3 weeks” right now! It’s been that way most of the time for a long time now. Ever since my publisher sold out of my second printing and opted for my third and final printing to be through a print-on-demand service. I asked my publisher about it and they blamed Amazon. They say that because they use their own print-on-demand provider, instead of Amazon’s CreateSpace, this is Amazon’s way of getting back at them. I didn’t ask Amazon about it because, frankly, I don’t care. Let’s assume they’d blame my publisher. It doesn’t really change how I view Amazon or my publisher. They both are making a choice. Amazon is prioritizing books that use CreateSpace, my publisher has opted to specifically not use CreateSpace. They both have their own interests at heart and I wouldn’t expect any different. I’m not happy about it, but what can I do? I’m caught in the middle and when you make the chance to work with middlemen, as I did, that’s what happens. Would I want to live in a world where I could command Amazon to ship my book within 24 hours? I’m not sure I care for the implications of that on my own business. There is, of course, a funny irony about this compliant. It was your publisher that was colluding to try to force Amazon to raises prices. Now they do, and it’s an issue. 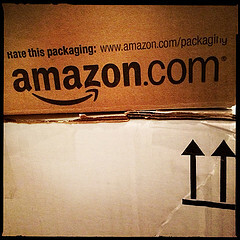 The delaying of shipments, I probably would have preferred Amazon avoid. However, the price raising is exactly what should happen. Your publisher is not coming to terms with Amazon. Better yet, your publisher was sued by the government for trying to force Amazon to raise prices. So, of course, Amazon is not going to discount your book with others. Why should they? Blame your publisher, more than you blame Amazon. This is likely a temporary issue that will resolve itself. But in the mean time, people seem to forget that this hurts Amazon, as well. Cable and satellite TV providers have disputes with networks like this once in a while. A recent case is the spat between Dish Network and AMC. AMC said Dish was using their customers to force cable networks to drop a lawsuit against Dish. Dish said AMC was being greedy. In the end, each side had its supporters, but many people felt both sides were being greedy. Situations like this hurt all sides temporarily. Amazon is in the business of selling and if their pricing isn’t competitive on Hachette titles, they don’t sell. So when authors complain that Amazon has supposedly raised prices, that doesn’t just hurt the authors, it hurts Amazon. You could argue that, at scale, it hurts authors more, but I don’t know if that’s the fairest way to go at it. Amazon wants more revenue, not less – just like authors. These types of issues also opportunities for other businesses. For example, Books-A-Million is promoting the fact that they will ship Hachette books immediately. This demonstrates the lack of a monopoly, but also the fact that people will take their business elsewhere, away from Amazon. Just like Dish Network customers left for other providers. All in all, I don’t think this story is worth the noise. I’m pro-Amazon and I’m pro-author, since I am one. Hachette and some authors are putting on a good PR show – and it’s working to some extent – but Hachette is not the knight in shining armor here. They should be criticized no less than Amazon. 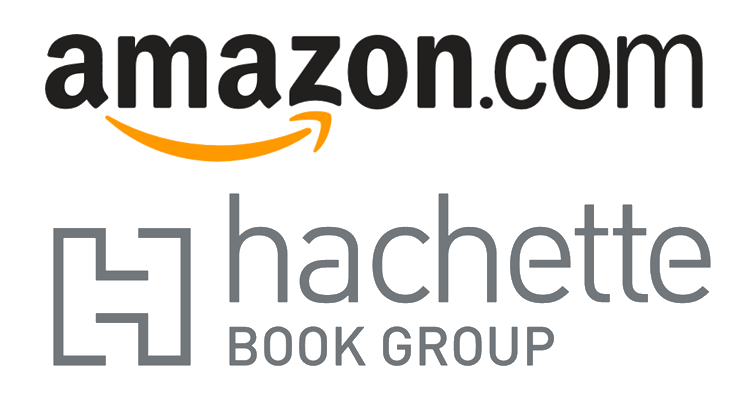 Whatever issues Amazon has, Hachette can match. We’re seeing two large organizations use their tricks of the trade to try to negotiate better pricing. Neither is preventing the other from existing. They are just wrestling for an advantage.